Comic book people are weird. Comic book shops smell like the monkey cages at the zoo. Women do not read comics. Children do not read comics. Well-adjusted grown-ups do not read comics. People with even a modicum of appreciation for literature do not read comics. Comic books are not art. Comic books are nothing more than adolescent male power fantasies. The above are all things that I've heard, and things that I've been told (usually condescendingly, by an English major) at one point or another over the past five or six years. And, while there may be some truth when it comes to the statistically low numbers of women and children who read SUPERHERO comics today, just go to any Borders or Barnes and Noble and check out the Manga aisle. Kids, teens, and parents trying in vain to drag away said kids and teens from the shelves. Now, it's very true that, in my local comics shop at least, there are very few female customers. But there are some. And I'm sure every comics shop has several women buying books on a week to week basis. So, while women typically aren't the ones buying every variation of every Batman action figure on the market, they do in fact read comics. As for the other points made in the opening, well, as you can imagine I strongly disagree. Try reading Signal to Noise, by Neil Gaiman and Dave McKean and tell me that's not art. Or Sandman. Or Watchmen. Or Preacher. Or A Contract With God. How about Blankets . Or Love and Rockets. Or Cerebus. Obviously, I could just keep doing this forever, so I'll stop for the sake of your sanity. But the (heavy-handed) point I'm trying to make is--comics is an art form. Creative, sometimes brilliant, people write and draw some of the best stories in literature. Comics have given us the modern day mythological figures of Batman and Superman, Spider-Man and The Avengers. Comics properties that I've never heard of are being optioned for film rights every day. Why? Because comics movies make the most money. Comics have been an important part of the culture of America since the 1930s, and each subsequent generation has been introduced to the same, timeless characters. Comics culture has always been on the fringes on "normalcy," but, finally, with movies like The Dark Knight and Spider-Man, Iron Man and Watchmen, comics have come to the forefront of "accepted" cultural hobbies. Everyone goes to Comic Con. Because they have to. Because that is the market everyone wants a piece of. You make a solid, fan-friendly movie, you've got millions of comics crazies backing your every step. Now, for those of you reading this and going, um, Alex, I'm here, so I obviously already like and appreciate comics, I'd say, first, bless you, and second, this post really isn't intended for you. I mean, please keep reading, and please leave some comments, but really, if I do my job with this, I will get a couple of decidedly non-comics people to maybe (just maybe) pick up a graphic novel and give it a chance. So for those of you out there who come to this blog mostly for the video game stuff, or the posts about orchids, this one is just for you. 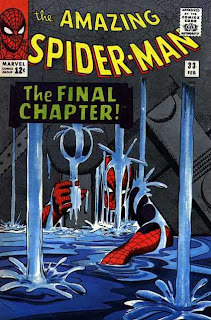 It's my last ditch (well, for this week) effort to get you all to read comics, and I am going to try harder than Spider-Man did that time when he was trapped in that water thing. Let me begin my case with the following. I would have likely agreed with the comments at the beginning of this post(hey, what can I do--I was an English major, too!) before I read The Dark Knight Returns, by Frank Miller. That book was my comics epiphany, and if I hadn't read it at the exact time that I did...well, let's just say I wouldn't be writing for this blog today. As a college senior, Dark Knight was actually required reading for my Writing New York class at NYU. By the time the book was assigned, I had just started exploring local comics shops and buying a couple of new releases--mostly Batman books. But that was a one or two book a month habit, and while I enjoyed taking a walk through the aisles, it never even crossed my mind to spend more than a few bucks a month on comic books. But then I got the syllabus for that particular class, and I saw Dark Knight Returns was assigned for later on in the semester. Well, when I saw that I figured it would be a good excuse to hit up Forbidden Planet and grab me the trade paperback collection of the series. Sure, I could have picked it up at the school bookstore, but where's the fun in that, right? So I headed out to Forbidden Planet during a break in my schedule for the day, and I asked around a bit about Frank Miller's book. And the response I got was pretty much the same thing, time and again. "It's a milestone in the medium. You have to read it." So I bought it and stuck it in my bag and went to my next class, and went home and forgot about it. Then the weekend came, and after I checked out what was expected from me for the coming week, I decided that I very much did not feel like starting on any of that. So I cracked open Dark Knight and started reading it. A few hours later, the book was finished and my head near exploded. This was most definitely not the Batman from my childhood. This was something completely different, and I loved it. I guess I was just hooked on comics from then on. 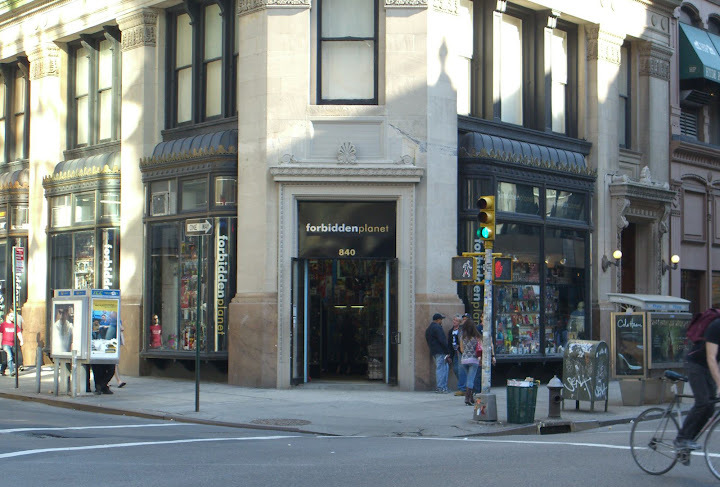 The first thing I did after my early Monday morning class that week was to head back to Forbidden Planet and find something--anything--else to read. Being that I was in a Batman mood, I picked up a couple of the latest issues. The art looked great, so I figured, what the heck? Well, little did I know that actually, the Batman books I was buying were all from the acclaimed Hush storyline, by Jeph Loeb and Jim Lee. I just didn't know it at the time. Reading the issues as they came out, I remember thinking a couple of things. First, the story is really fun, and second, the artwork is amazing. It's no Dark Knight, but it was never meant to be that. It's just a great serial story, a mystery that kept readers coming back (in record numbers) for over a year. And, more importantly for the medium, it was the jump start the (at the time, flailing) industry needed. Hush made Batman relevant again, in a way very similar to Frank Miller's revival of the character in the 1980s. And there I was. I'd just finished Dark Knight, a linchpin moment for the art form, and I was about five issues into a second watershed event. And so it was the combination of Miller's cerebral, gritty, inspiring Dark Knight and the flat-out mainstream awesomeness of Hush that hooked me on comics. But let's get back to my first love--Miller's Dark Knight. Dark Knight tells the story of Gotham City, sometime in the future. The heroes have all been forced out of commission, and Superman remains as a government lackey. Batman's been retired for decades, and Joker has been rehabilitating at Arkham, posing no threat to anyone. That's how Dark Knight starts--basically, it's an aging and increasingly useless Bruce Wayne/Batman still coming to grips with the decision to hang up the cowl. By the time the book ends, Frank Miller has managed to explore brand new territory and answer questions that had never even been asked about the character, and his world. The art is, at times, (intentionally) crude and the characters are bulging and ugly--just like the world in which they reside. 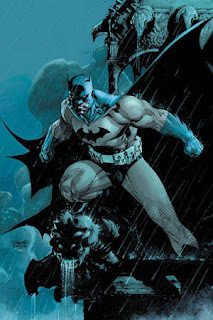 Miller's style is very distinct, and while there are flashes of his mainstream work (such as his historic run on Marvel's Daredevil book) that remind the reader of previous incarnations of the character, Miller's Batman is wholly different than any other artistic interpretation. The book just doesn't look like a DC comic. It's not pretty and the people aren't god-like, and everyone in the book has problems. 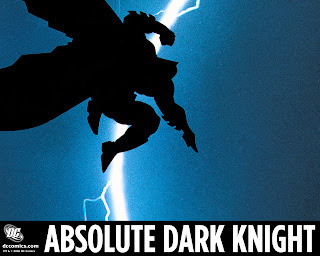 Dark Knight is an altogether literary work; it's both mainstream and underground, somehow managing to straddle that line for the past twenty-odd years. So the first challenge I present to any non-comics fans out there is this. Go to your local library and borrow a copy of Frank Miller's The Dark Knight Returns. And if you're worried about not knowing what's going on because you've never followed the characters before, don't be. If you know Batman, Joker, and Commissioner Gordon, then you're all good to go. Give it a try. See if you like it. Now, when you start off with two of the best-written, best-drawn, and best-crafted stories in (mainstream) comics history, as I did, it's not surprising that I was instantly hooked on the art form. But, instead of staying within the confines of the super hero genre, I immediately decided to venture out and find as many smaller press titles as I could get my hands on. Doing so led me right to Eric Powell's The Goon, which in turn will allow me to die a happy person. But that's another story altogether. What I'd like to do now is give you all a list of books to read if you've read and enjoyed Dark Knight (and even if you didn't). And, again, anyone interested, please do leave some recommendations of your own in the comments section. Comics aren't literature, eh? Well, I dare you to give these books a shot. First, forget Watchmen, and skip right on over to Alan Moore and Eddie Campbell's From Hell, an historically-based, heavily researched look into the mystery of Jack the Ripper. Never mind the movie that came out a few years back--the book is the real gem. Alex Robinson's Box Office Poison tells the story of a group of English majors, post college, trying to find their way in the big city. Sound familiar? Then check out this black-and-white masterpiece. And then there's Neil Gaiman's Sandman. As I wrote about at length, in this post, "starting with issue 1 in 1989 and ending with 1996's issue 75, Sandman was, simply put, one of the greatest graphic stories ever told." And now that the entire series is collected in a variety of (affordable) ways, there's no excuse not to read it! Hate super hero stories? Well, so do these creators! 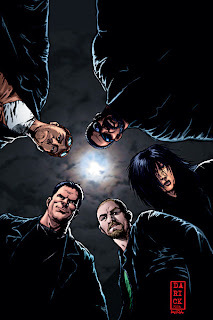 Check out Garth Ennis' The Boys, a story about the people who are put in charge of watching over the super hero community. It's ultra-violent, ultra-satirical, and incredibly well written. Also, Warren Ellis' The Authority, from DC Comics. Another graphically violent, "realistic" look at super powers in a post modern world, this is an early example of the post modern super team. And then there's Watchmen, Alan Moore's comics masterpiece. This book manages to subvert the hero trope while it writes a love letter to the medium. A group of washed-up heroes struggle to come to grips with the changing world of the 1980s, and the ever-present threat of nuclear annihilation. Moore and artist Dave Gibbons pull absolutely no punches in this meticulous, staggering work. If heavy melodrama isn't your thing, then these books might do the trick. Eric Powell's The Goon is one of the funniest, craziest books to come into the market in the past twenty years. It's an amalgamation of different styles (humor, noir, horror, old school Jack Kirby monsters) and it's a wholly unique entity in the publishing world today. 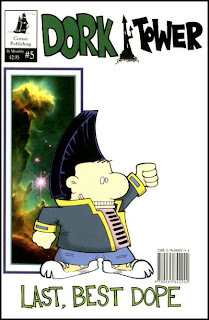 For sheer geek delight, you really can't beat John Kovalic's Dork Tower. This one's for the gamers, the video gamers, the anime fans, the dorky movie fans, and well, just about everyone who reads this blog. It's more of a comic strip than a comics series, but there is a continuing storyline that will keep you entertained (and laughing your head off) time and again. Well, if that's the case, then check out these high points in the medium. As mentioned earlier, Batman: Hush was a majorly important story in the history of DC comics, and to the comics industry in general. There's also Brian Michael Bendis' take on the Spider-Man mythos in Ultimate Spider-Man, a book that examines the life of a high school aged Peter Parker, and can be enjoyed by readers of all ages. No back story needed. Start at collection number one, and you're good to go. 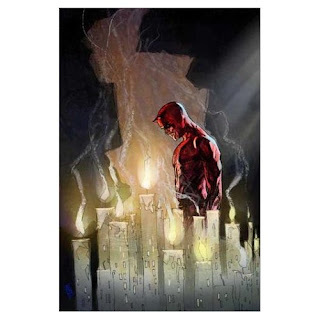 For an older audience who like some noir in their super heroics, Bendis' epic run with artist Alex Maleev on Daredevil is arguably the best mainstream crime comic ever written. 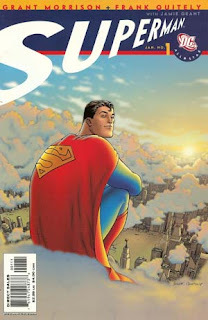 Grant Morrison's All Star Superman gives an entry-level look at the Man of Steel. This series is loved by longtime fans as well as people like me--the very anti-Superman comics readers. I guess I always see Superman as being a very boring character, but Morrison's take on the red cape is entertaining and unique. Now, I could literally go on all day, but I'll stop here because I think the stuff listed is a good start for newbies. So, try one (or more!) of these books out, see if you dig it, and then please come on back here and tell us about it! Nice post. Also, I'm totally flying out to comic-con tomorrow. Squee. One of the things I always try to do when introducing someone to comics is refer to them not to a long, intimidating series, but to a short trade paperback. Especially one that's a self-contained storyline. If it's outside of the main continuity, all the better. Three of my favorite TPBs to recommend are Kingdom Come, Marvels, and The Nail. Two out of those three feature art from Alex Ross, and that's no mistake -- his paintings are absolutely gorgeous, and it's very, very hard to look at something like that and say "Oh, it's just cheap trash for male-dominated entertainment." Beyond that, the writing in all three is also very good, with a deeper theme than your typical "Hey, let's go fight" or "Let's do something weird to sell more books" storyline that seems to dominate big, mainstream events. Thanks, Falyne and tarepanda, for the comments! The Alex Ross books are great, and certainly Marvels is a book that a newbie can pick right up and follow along with. Ross also did origin stories of characters like Batman, Superman, and Wonder Woman with (Batman: The Animated Series writer) Paul Dini, and those are well worth checking out, too, especially for new readers. And Falyne, have a great time at Comic Con!!! Please feel free to drop us a line when you get back to fill us in on the event. Are you talking about the oversized "childrens'" books that they did together? I used to have all of them; they were very well-written and surprisingly, a bit touching. I'd hesitate to call them "origin" stories, though -- they covered the origin in a page or two (IIRC) and then the rest was about a hopeful, uplifting story. And, while they aren't in-depth origin tales, I think they are a good place to start.